‍March 18, 2019, Ontario – Elexicon Group Inc. (“Elexicon Group” or the “Company”) is pleased to announce that James Darrach has been appointed as its Chief Executive Officer (“CEO”) effective April 1, 2019. Elexicon Group Inc. is an affiliate company of Elexicon Energy, the company formed by the Veridian Corporation and Whitby Hydro Energy Corporation merger that was approved in 2018. The merger is scheduled to officially take effect on April 1, 2019, at which point Elexicon Group will be in business. Elexicon Group will guide customers along the best path to enhance their comfort, environment and their bottom line value. James comes to Elexicon Group with extensive experience in business development, business growth and sales. Throughout his career he has been involved in several start-ups and has been directly involved in seeing them through conception to execution. James has also served in various senior leadership roles within the energy industry and has successfully managed major projects in the electrical, energy management and professional services realm. Elexicon Group’s affiliate Elexicon Energy, the Local Distribution Company, also expects to announce its appointed CEO in the near future. Elexicon Energy is providing safe, reliable and affordable electric delivery service to its customers and is owned by five municipalities east of the GTA, including Whitby, Pickering, Ajax, Clarington and Belleville. Elexicon Group Inc. is an entrepreneurial endeavour focused on providing a wide range of energy solutions to customers. Elexicon Group is dedicated to expanding its energy service businesses and exploring new opportunities and ventures with strategic partners. Our portfolio of energy service businesses include: energy management and procurement consulting services; solar generation solutions; combined heat power (CHP) solutions; artificial intelligence and sub-metering; substation maintenance; EV charging stations, engineering, procurement; and, construction (EPC) of substation, power generation and energy storage projects. By sharing our collective knowledge and resources, we are able to help businesses unlock successes, seize opportunities and create a connected community of helping others. 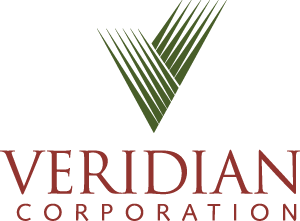 Stay connected with Veridian online and in social media. Use the links below to connect with us.